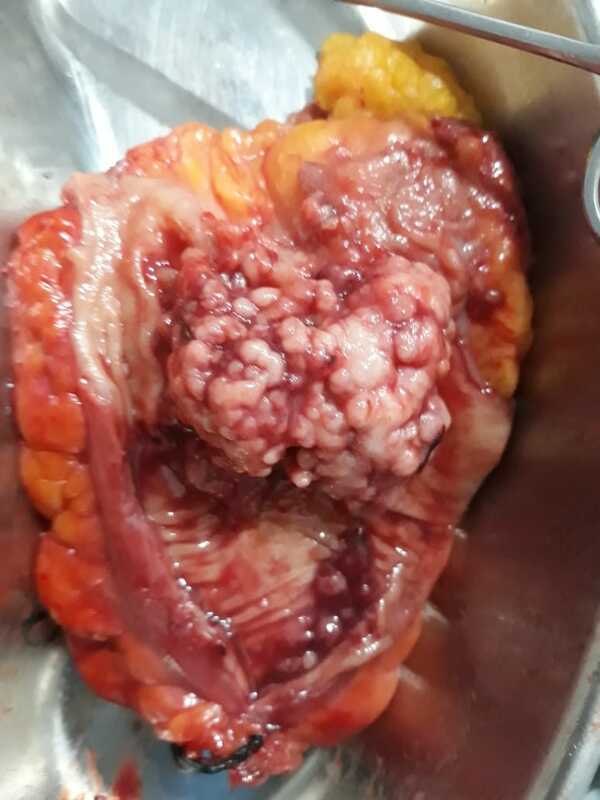 D2 gastrectomy for stomach cancer. 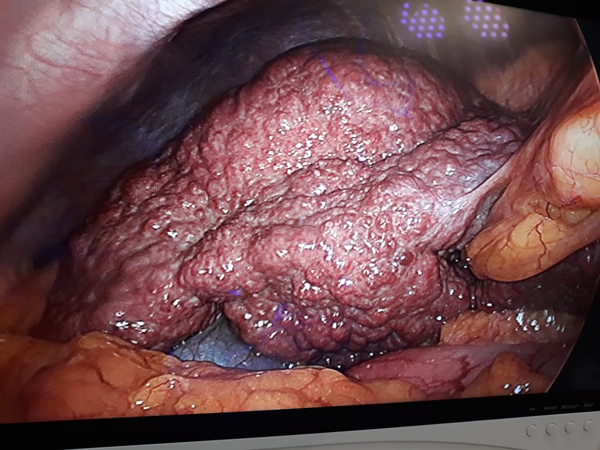 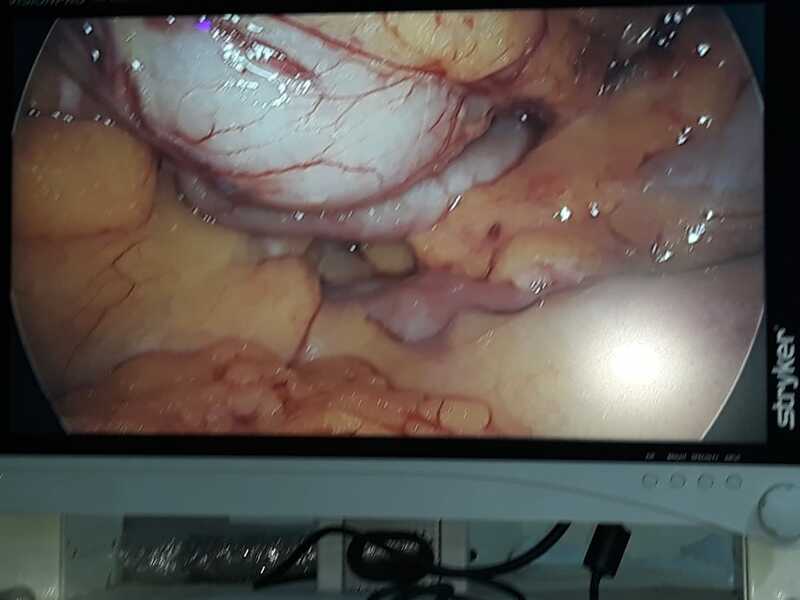 Laparoscopic ELAPE surgery for very low rectal cancer..
Neuroendocrine tumour duodenum ie Carcinoid. 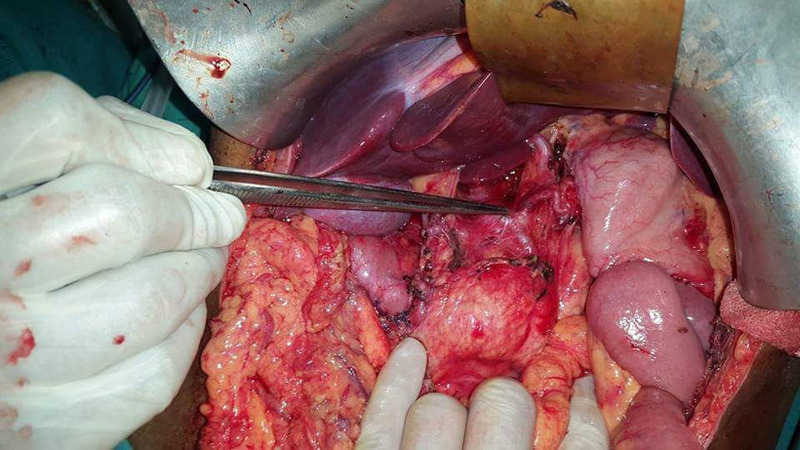 Partial malrotation of gut in elderly Male with internal hernia. 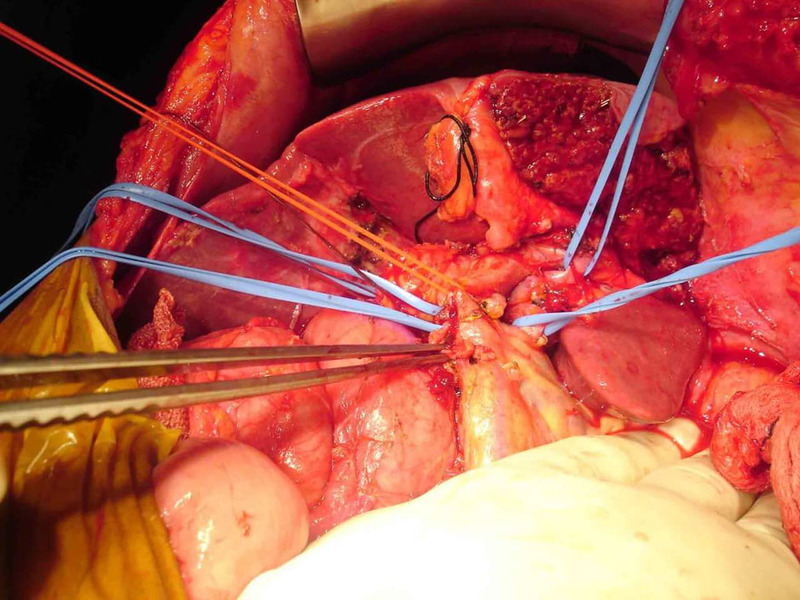 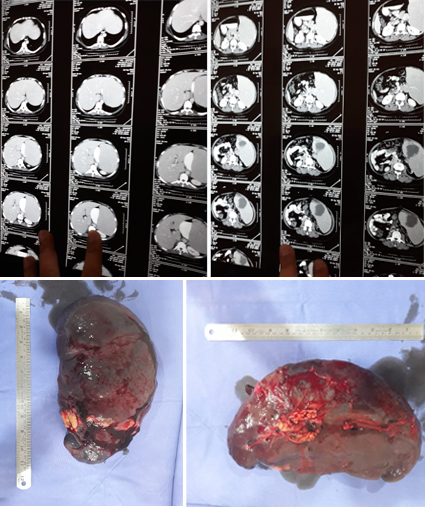 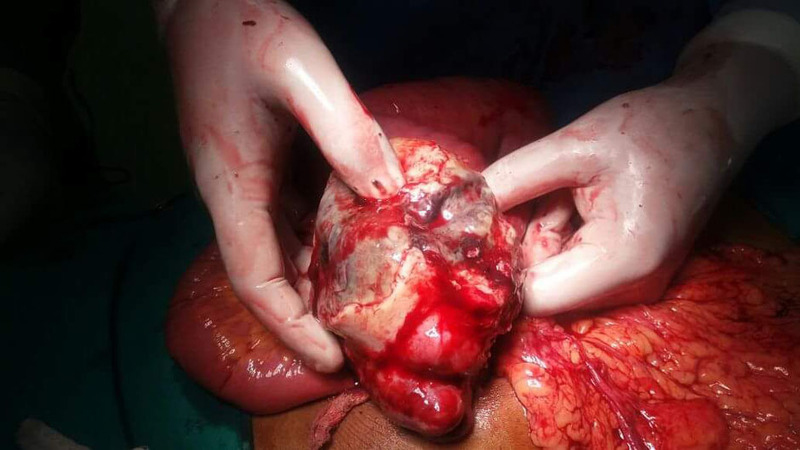 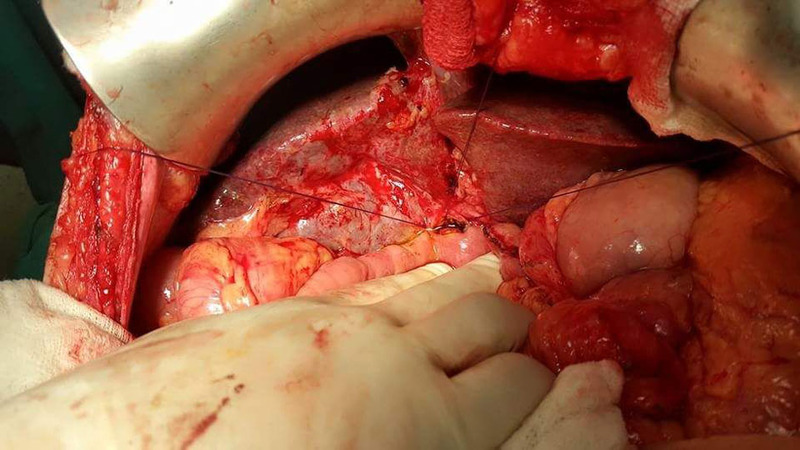 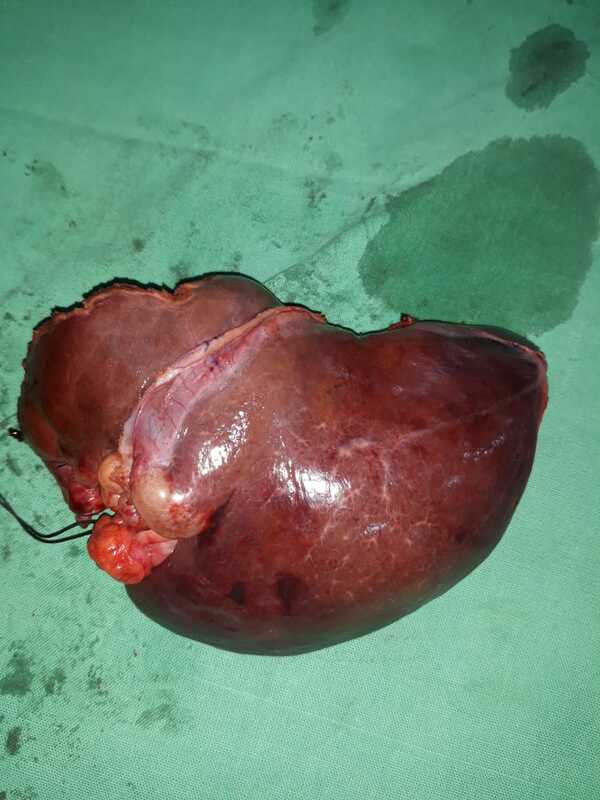 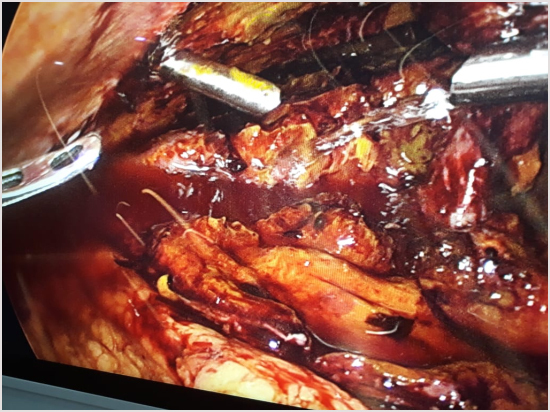 Re do left extended liver resection for biliary cystadenoma. 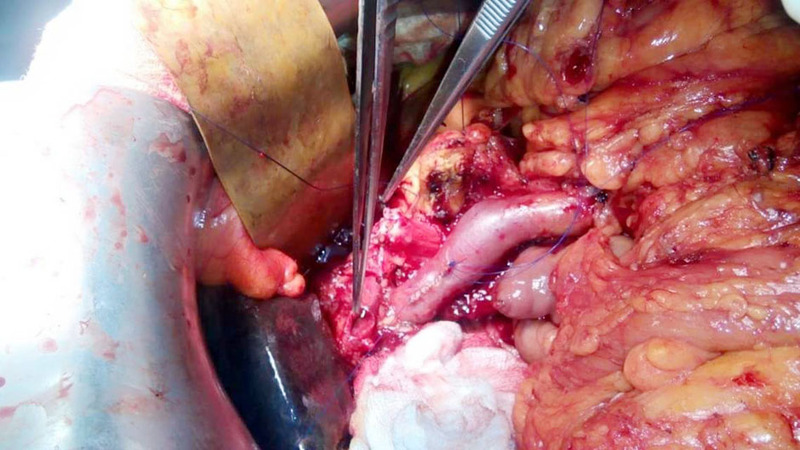 Lay people have idea that Appendix and Gallbladder operations are walk in a park easy . 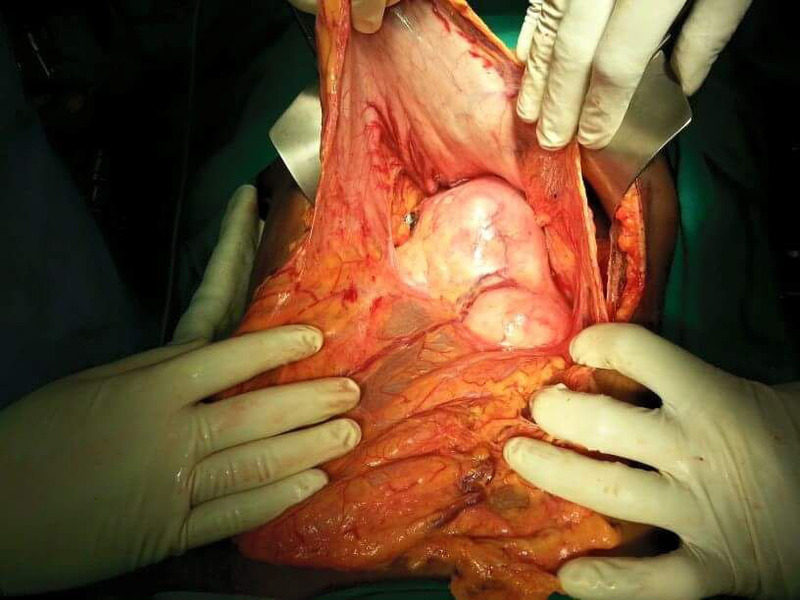 NO they can be as treacherous or even more , compared to a major critical cancer surgery . 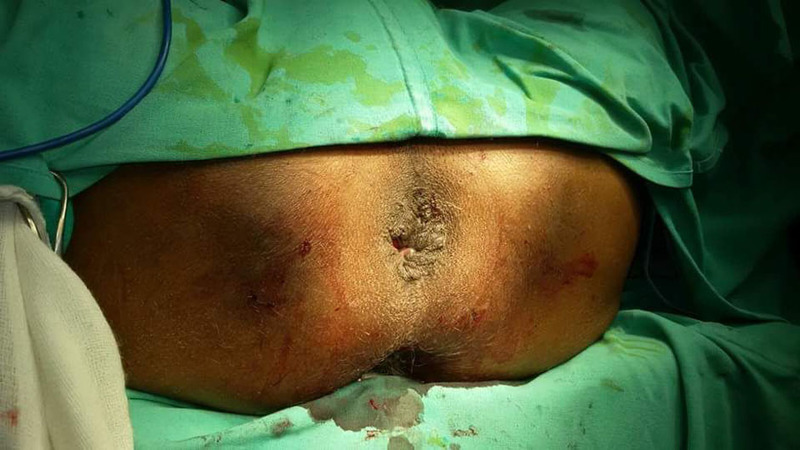 Here is 1 of many such intriguing cases we do . 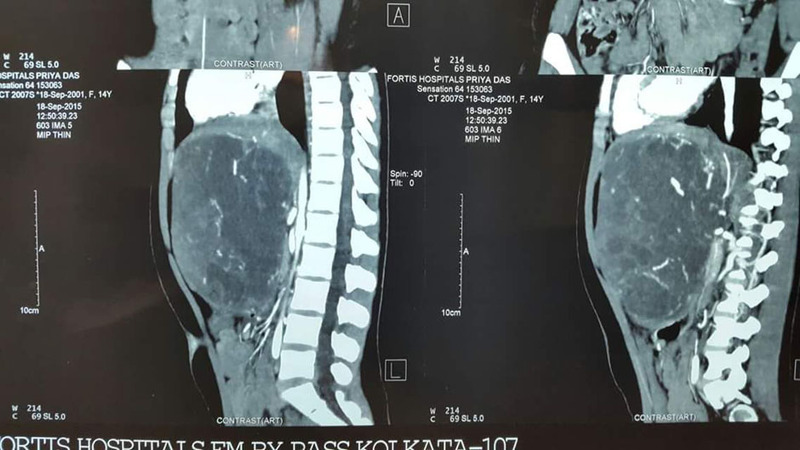 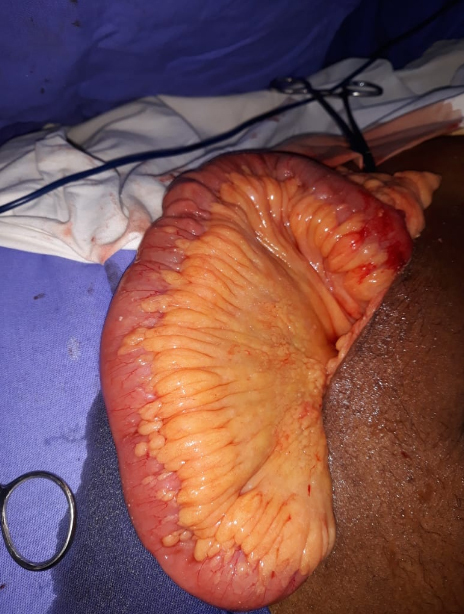 Nearly 80 year male with 2 abdominal operations in same region with multiple associated ailments ( comorbidities ) coming with severe pain with fever with sepsis with acute intestinal obstruction . 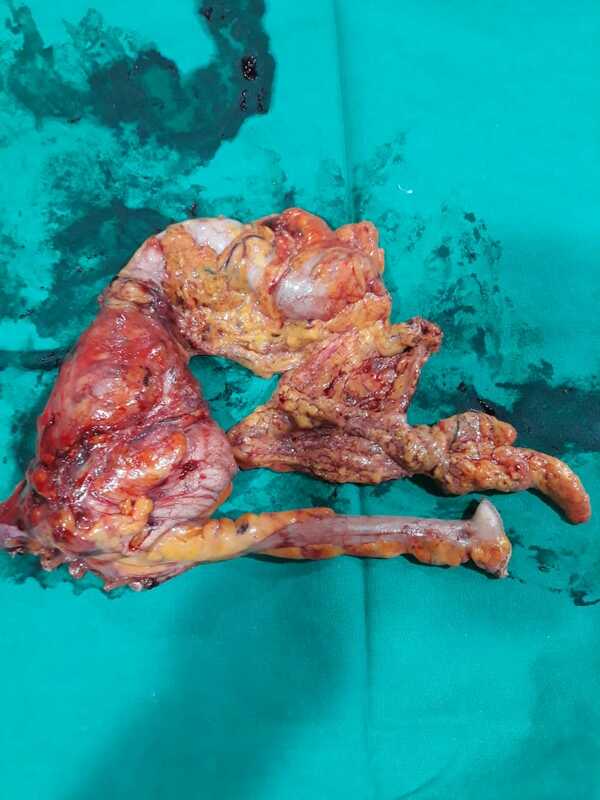 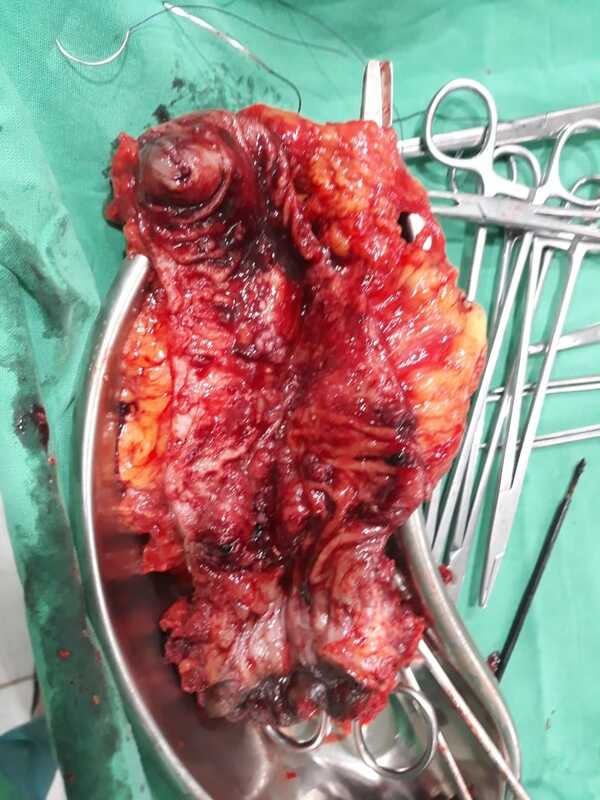 Surgery revealed fecopurulent peritonitis ( stool and pus in abdomen ) with ruptured gangrenous appendicitis with caecal ( the part of right colon ) gangrene with perforation ( ie a hole through which faecal matter ie stool escapes freely inside abdomen causing severe deadly sepsis ) . 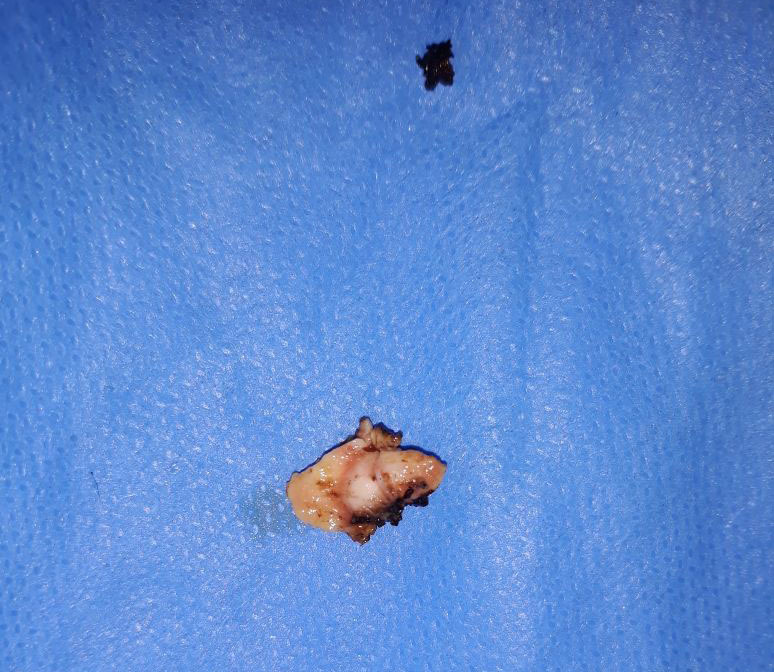 Entire gangrenous structures removed . 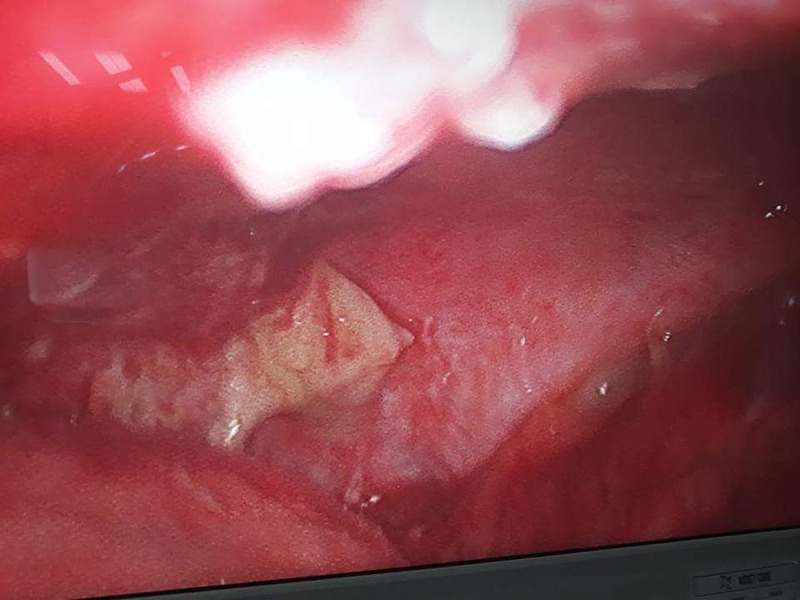 Buttress caecal base repair done . 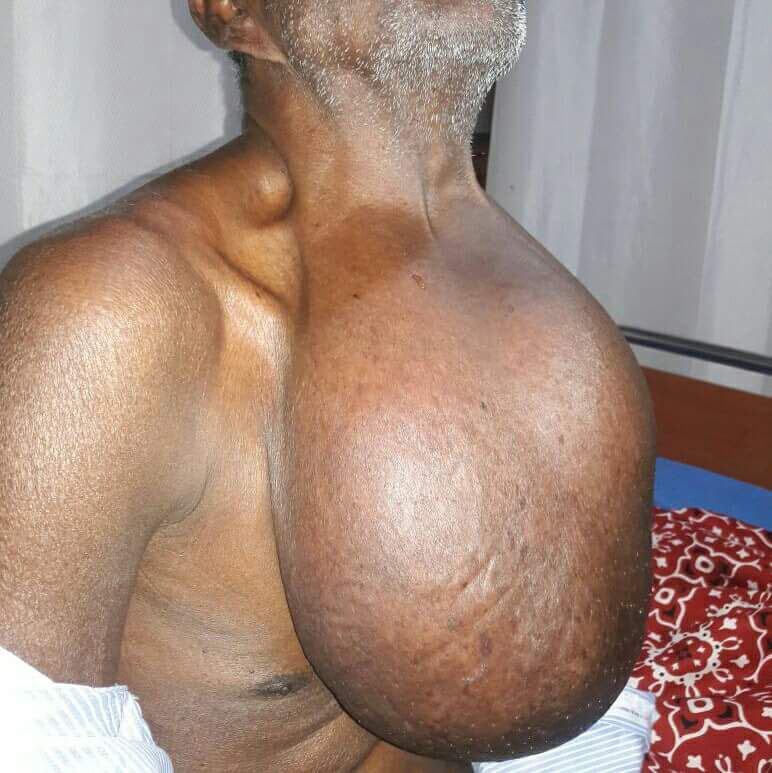 Patient discharged on day 6 . 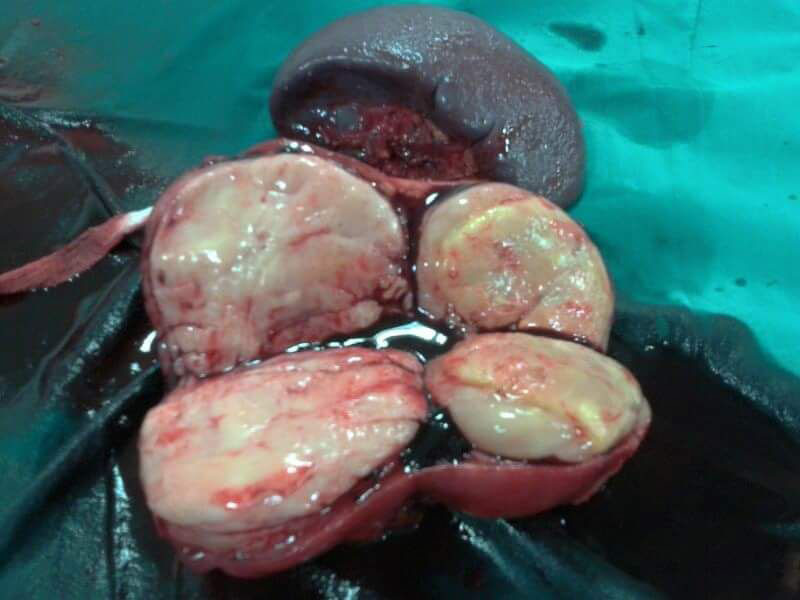 Cirrhotic liver with acute cholecystitis ( ie acute infection of Gallbladder due to stones ) . 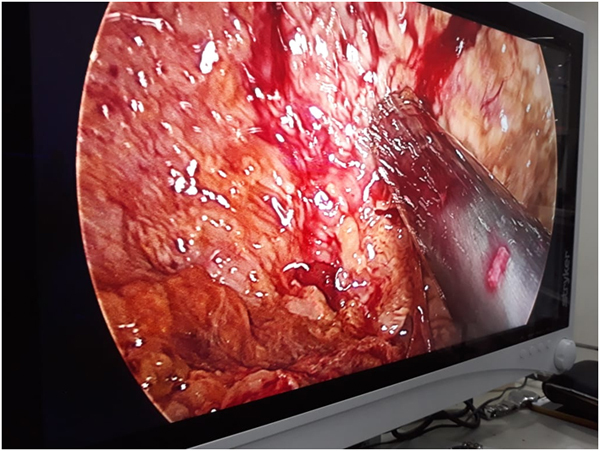 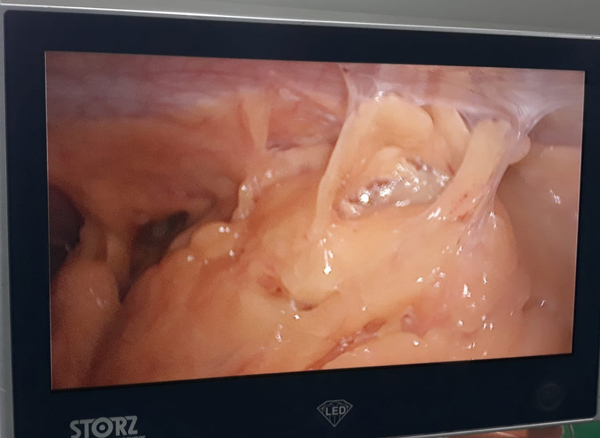 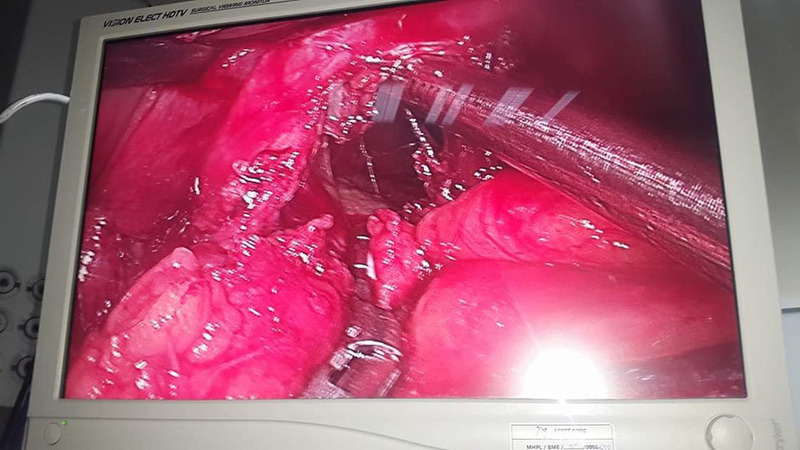 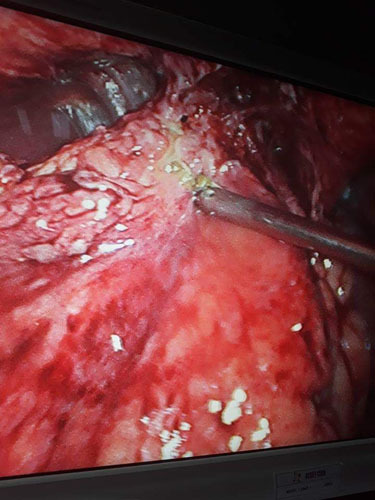 We have done plenty so far by laparoscopy but contrary to belief that they need sub total ie partial gallbladder removal , in most our cases , we have removed entire Gallbladder without bleed or complications . 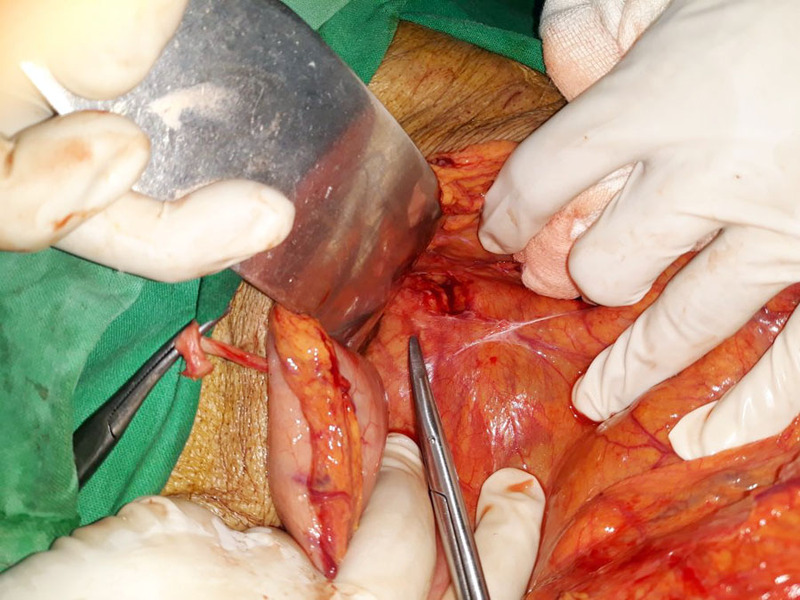 The ones with severe dilated vessels in and around Gallbladders are the ones that need cautious movements and various modifications of techniques to instruments to skills to peri operative care . 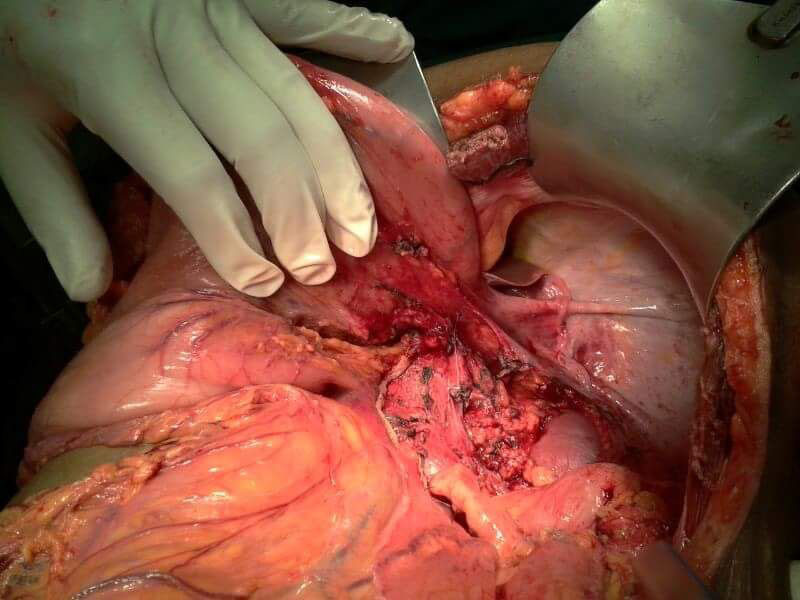 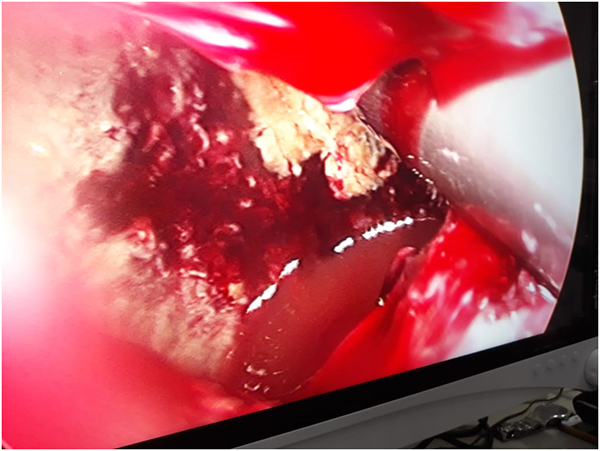 A known and most dreadful complication of Laparoscopic Gallbladder surgery is bile duct injury . 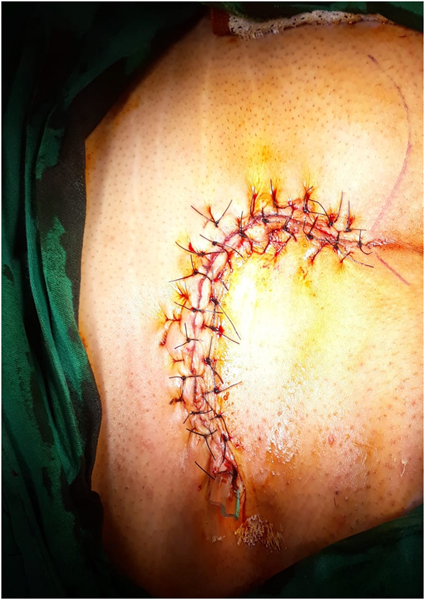 The worst of that is the transection and segment loss injuries . 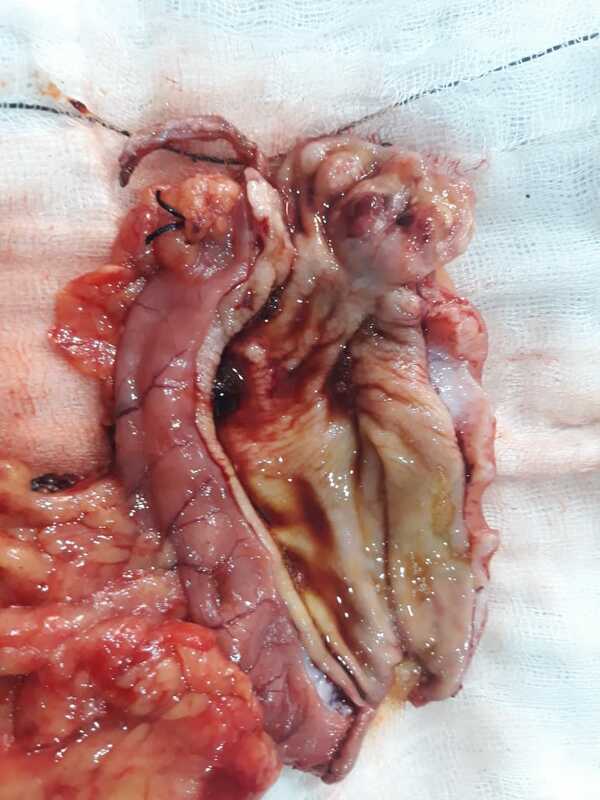 Even worse when bilioma ie collection of bile now spreads inside abdomen causing biliary peritonitis called Waltman Walter's syndrome where septic shock and other organ dysfunction can cause high chance of death. 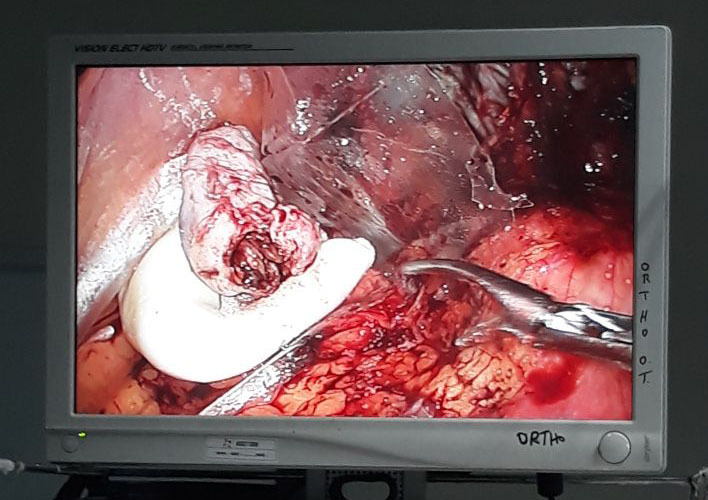 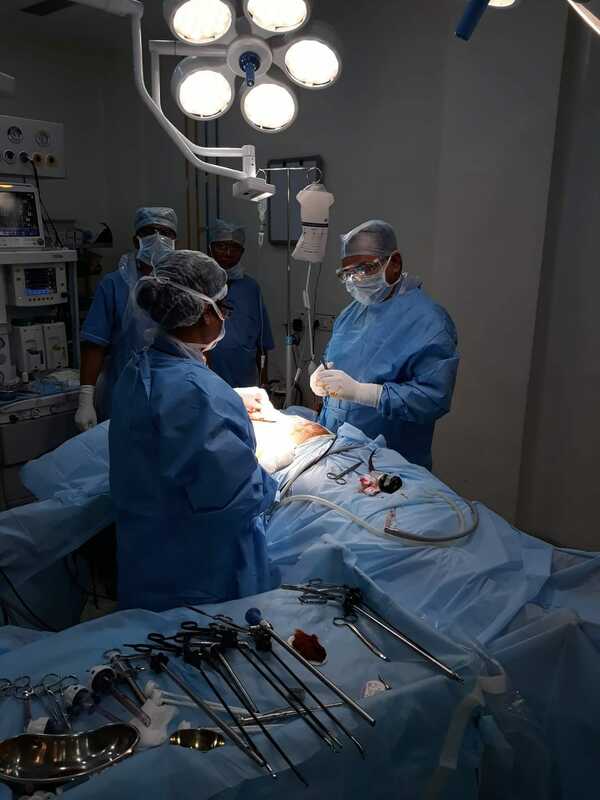 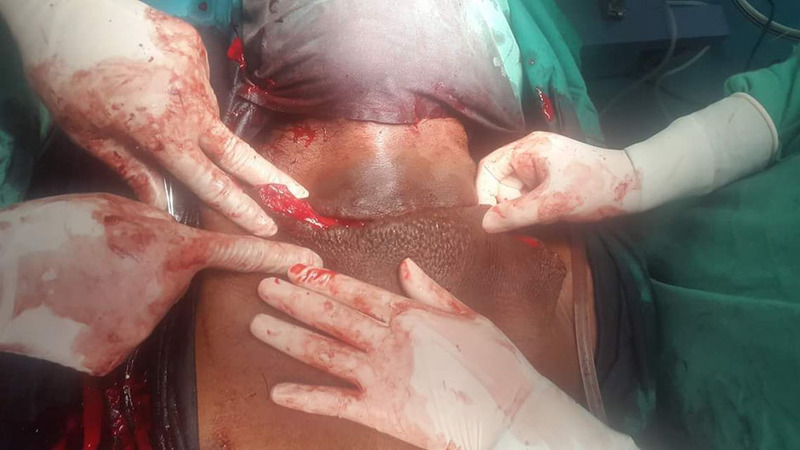 A young lady suffered somewhere in the periphery and brought to us with percutaneous drains all blocked and patient in very critical shape with severe septic shock and multi organ dysfunction . 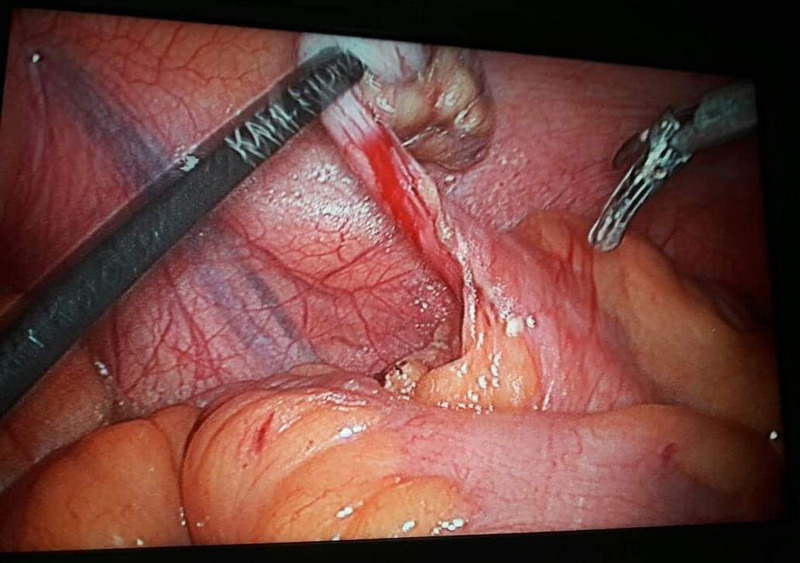 We re operated today ( we have done quite few in past as well ) by laparoscopy . 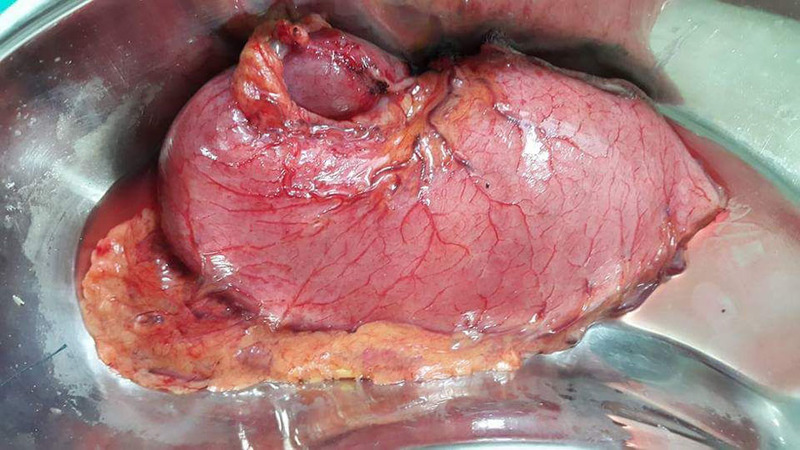 There was 5.3 litres of bile approximately . 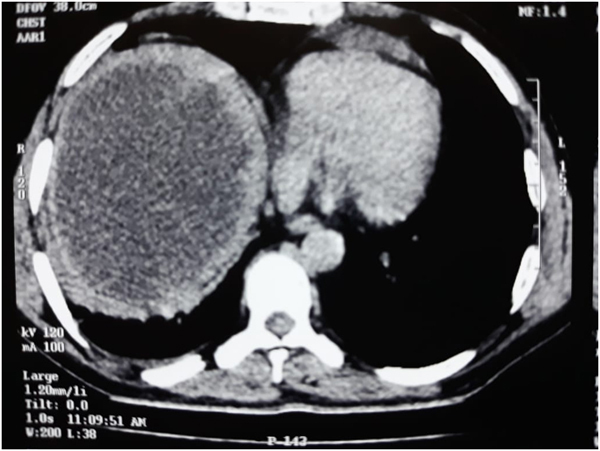 All cleared drained . 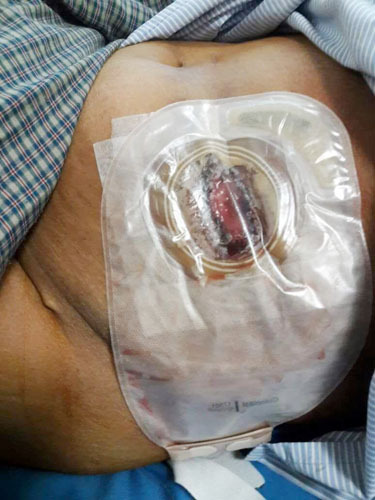 Abdomen washed vigorously and thoroughly with 6 litres warm Normal Saline . 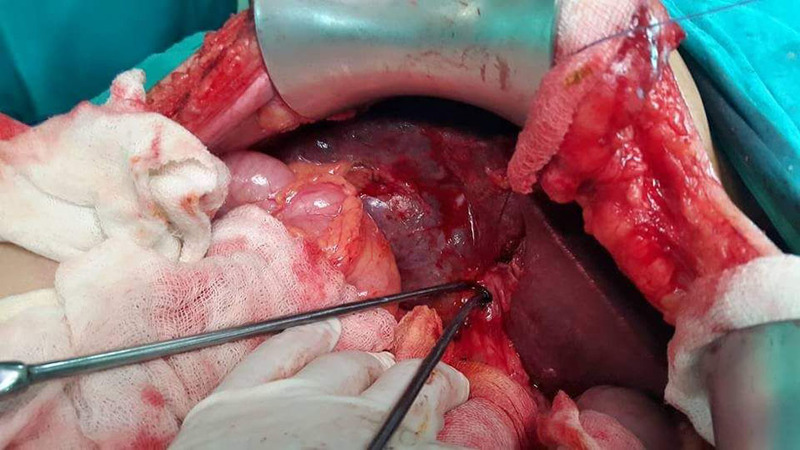 And widest bore drains put in HRP and Pelvis . 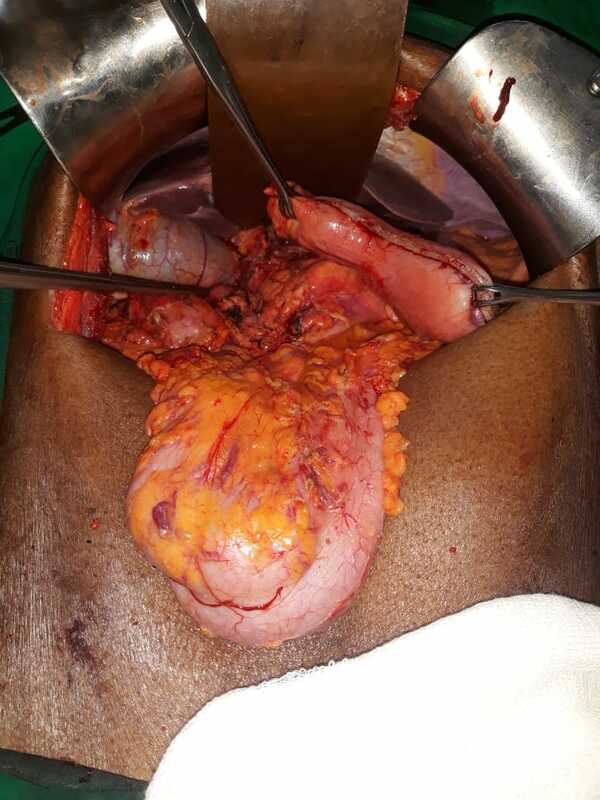 ( purpose is to have controlled biliary fistula ie all bile leaks out of abdomen in bags and prevents further sepsis ) and later do biliary bypass reconstructive surgery . 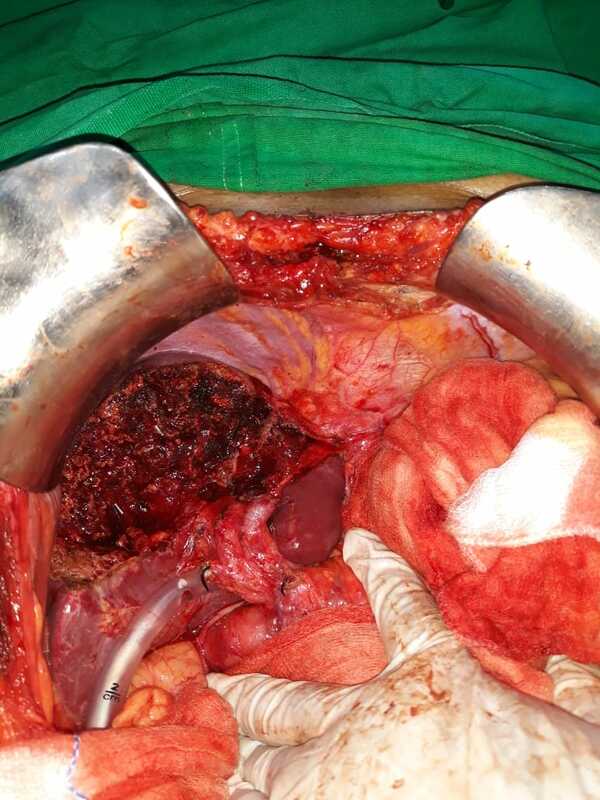 He did a major task of Splenectomy where the spleen was occupying almost entire abdomen . 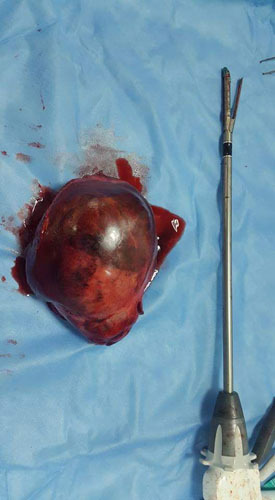 It's size was 29cm × 16 × 12 cm ( so almost a foot long instead of normal 7 to 14cm ) and was weighing 1980 gm ( so nearly 2 KG instead of 150 gms) . 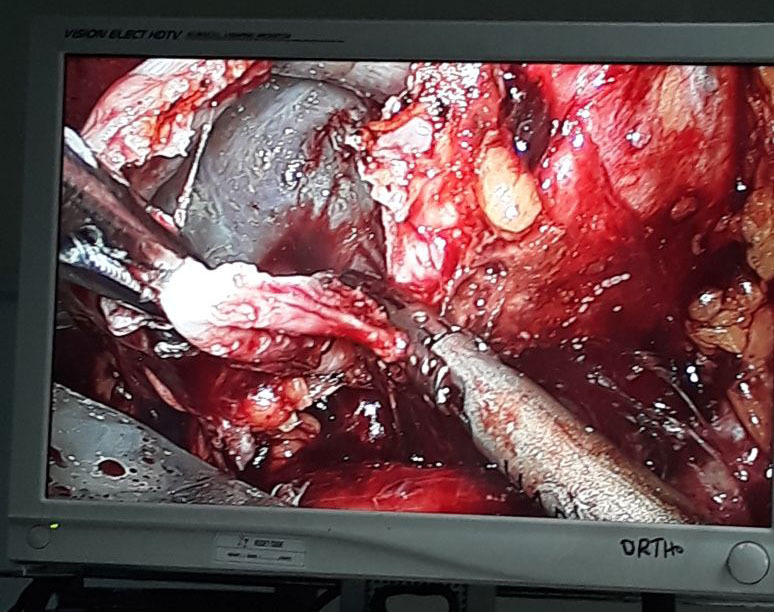 Operation was done complete in 1hr 15 mins with minimal blood loss of around 30 to 40 ml. 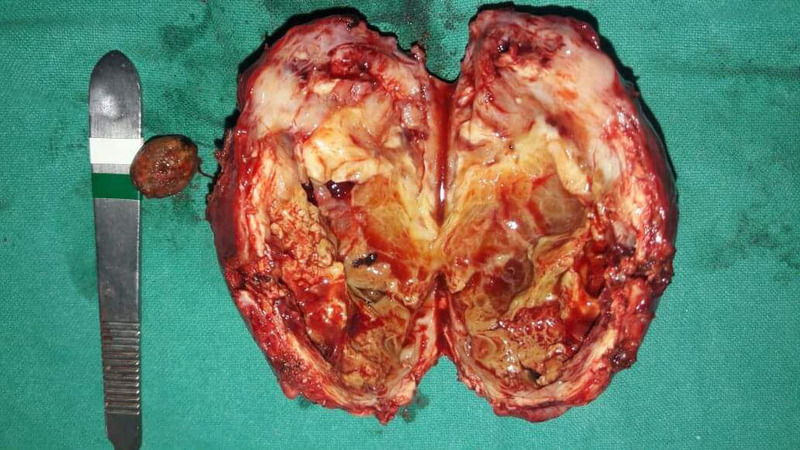 A complex infected pilonidal sinus . 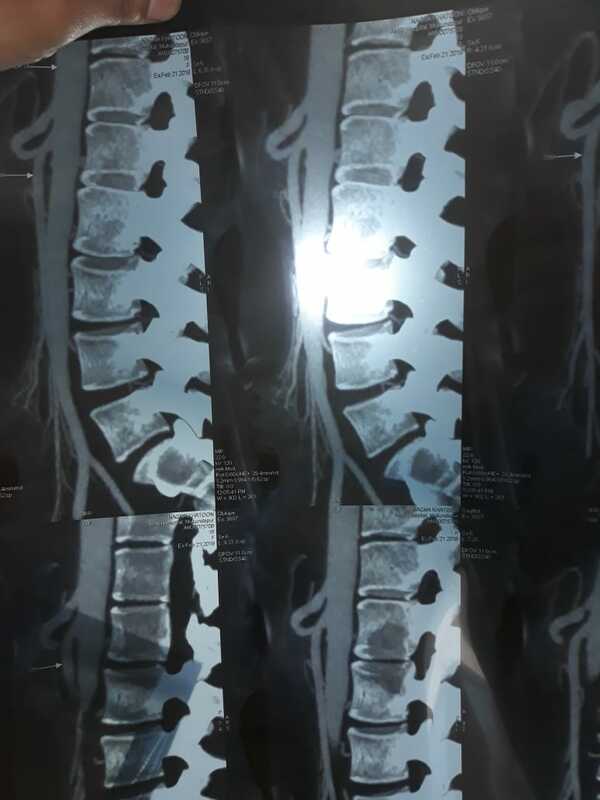 ( it is a sinus tract formed on back over sacral region and sacrum bone ie a last fused 5 vertebral bone just above tail bone coccyx. ) 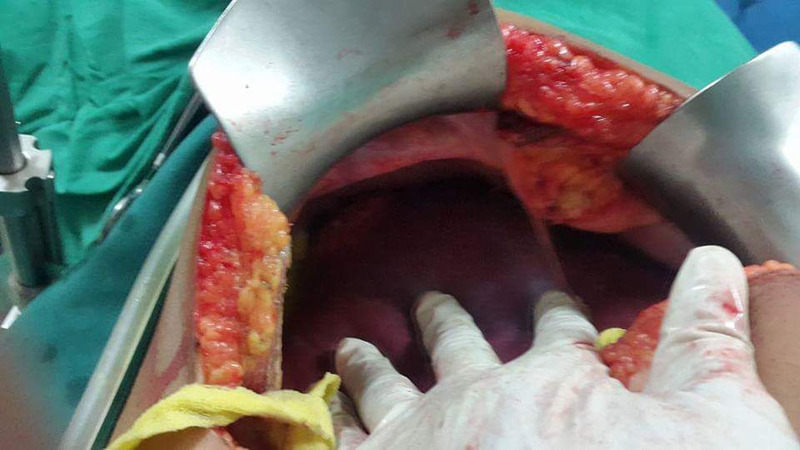 These sinuses are formed due to hairs mostly and has a small opening and a big cavity down below right upto bones . 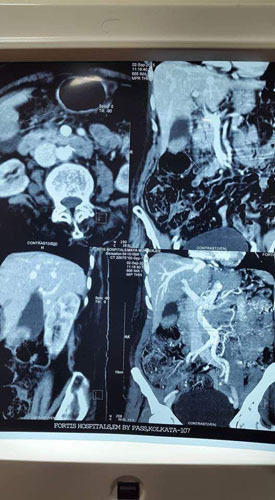 These are dangerously prone to recurrence . 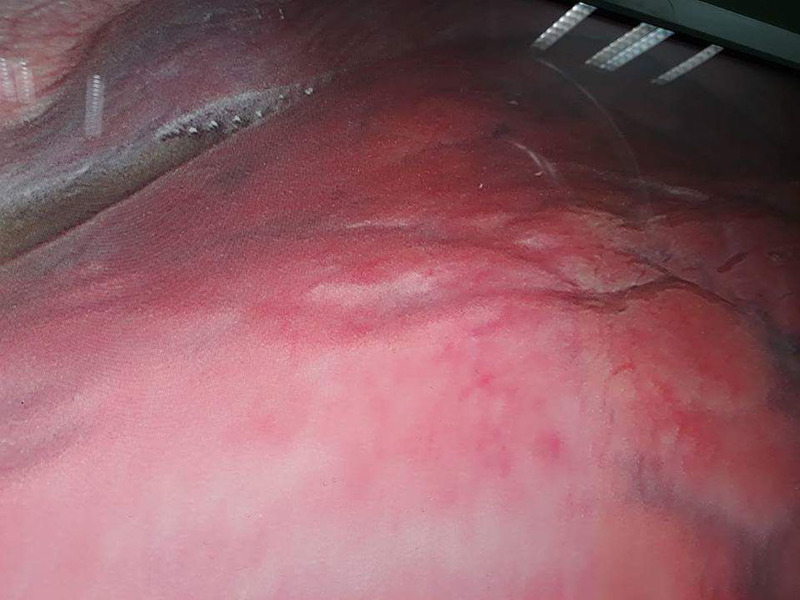 Besides cutting them out completely leaves a big gap upto bone which is difficult to close and won't heal in midline . 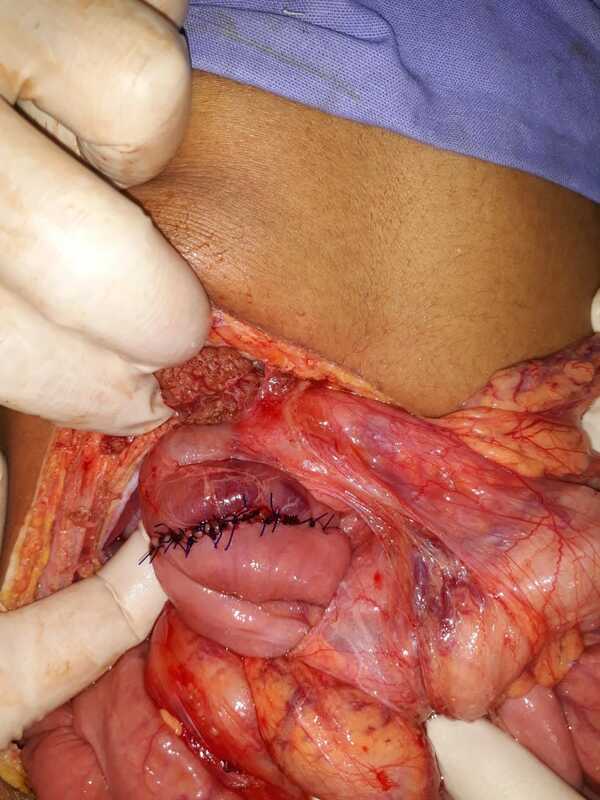 So needs a large flap for adequate coverage and to avoid a midline scar . 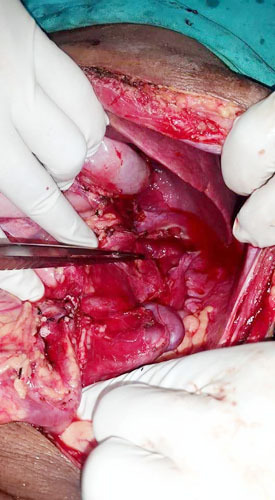 We have done quite mane without recurrence or complications . 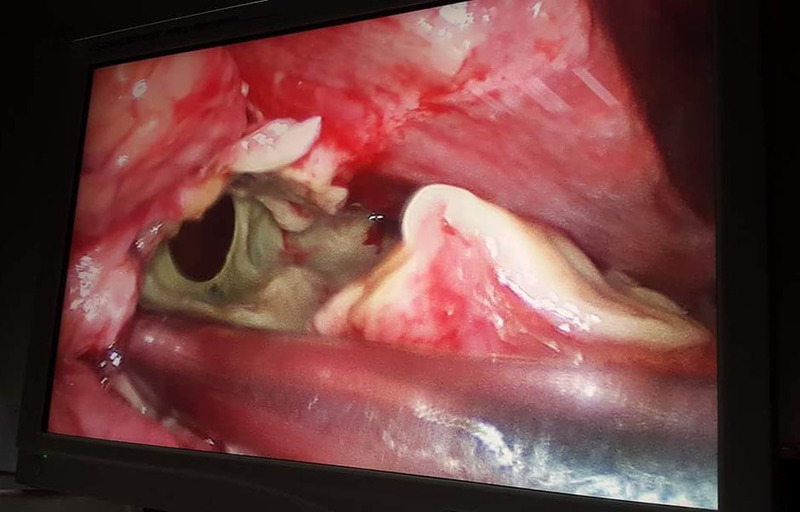 Not at all a small or easy surgery though it looks small sinus from outside . 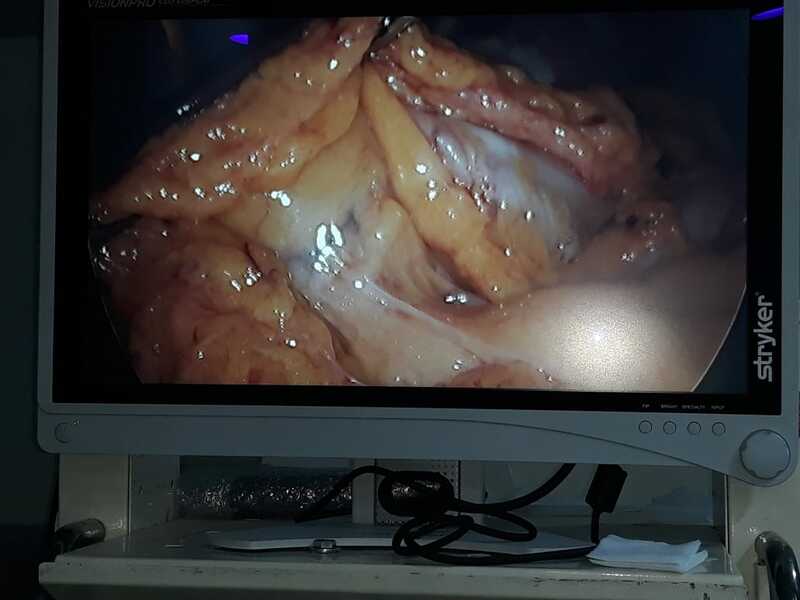 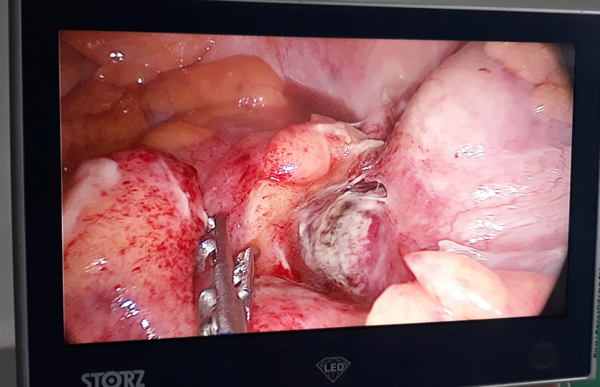 70 year frail male with gallbladder stone along with neuroendocrine tumor of pancreas done laparoscopic surgery successfully and discharged in few days . 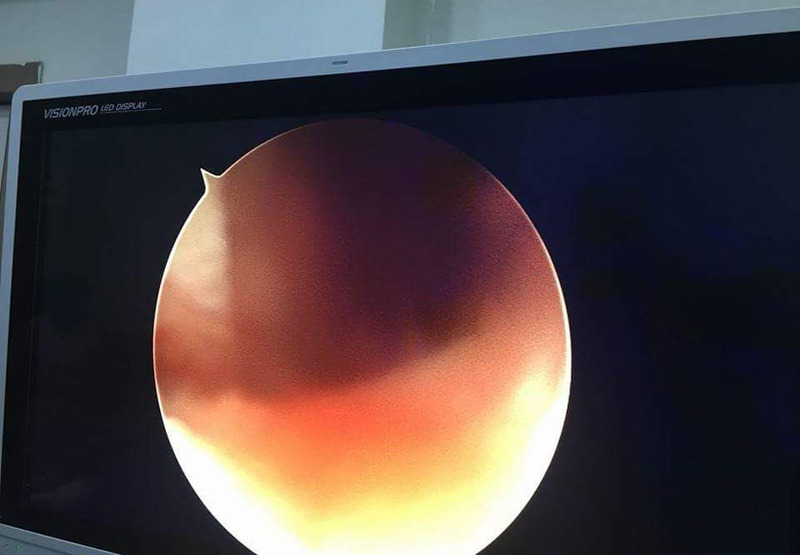 Awaiting reports . 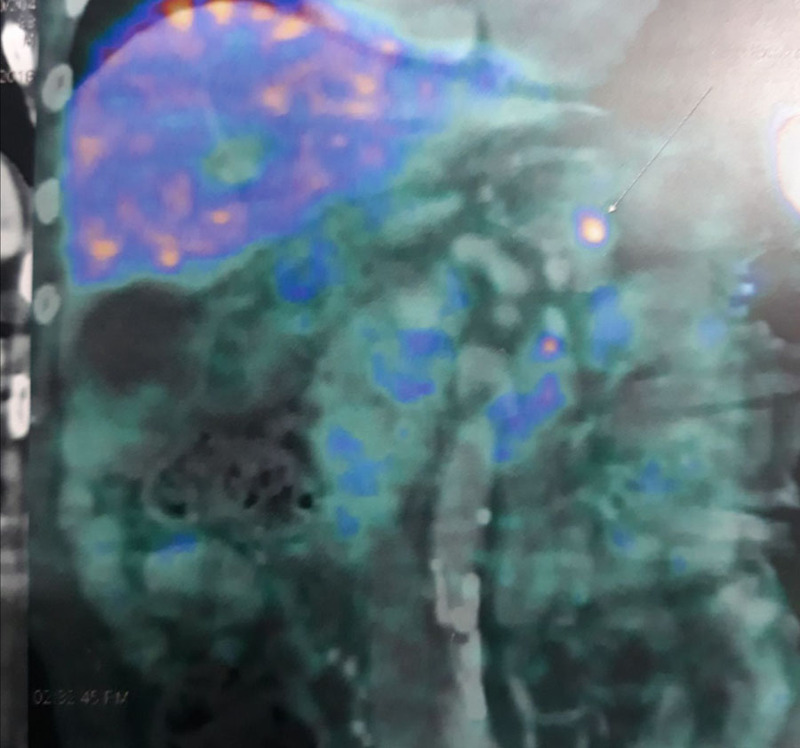 Apparently carcinoid based on tests and severe fibrosis inside abdomen . 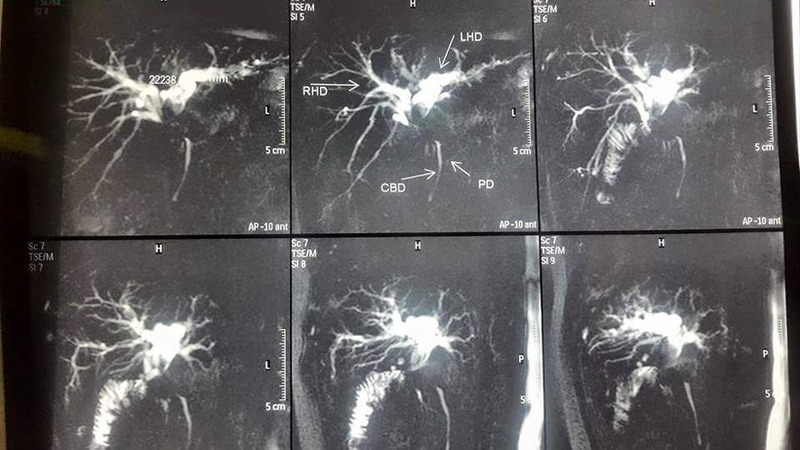 Recently a famous Bollywood star was in news for a neuroendocrine tumor . 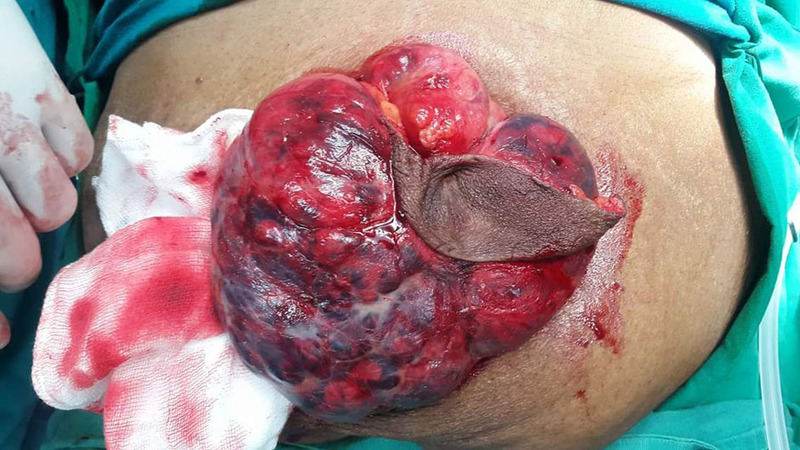 These are indolent growing nerve hormone secreting cell tumor which maybe benign or malignant . 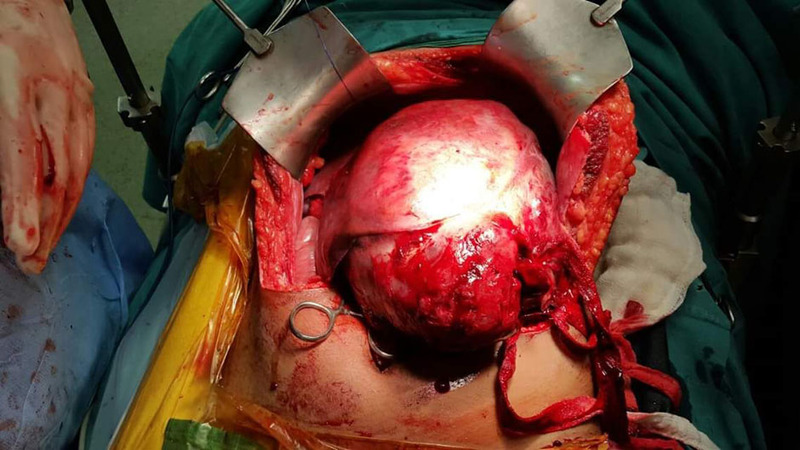 But has a potential for cure . 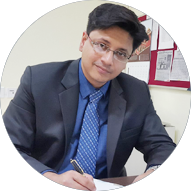 By Drsuddhasattwa Sen and team at AMRI DHAKURIA HOSPITALS , KOLKATA .. 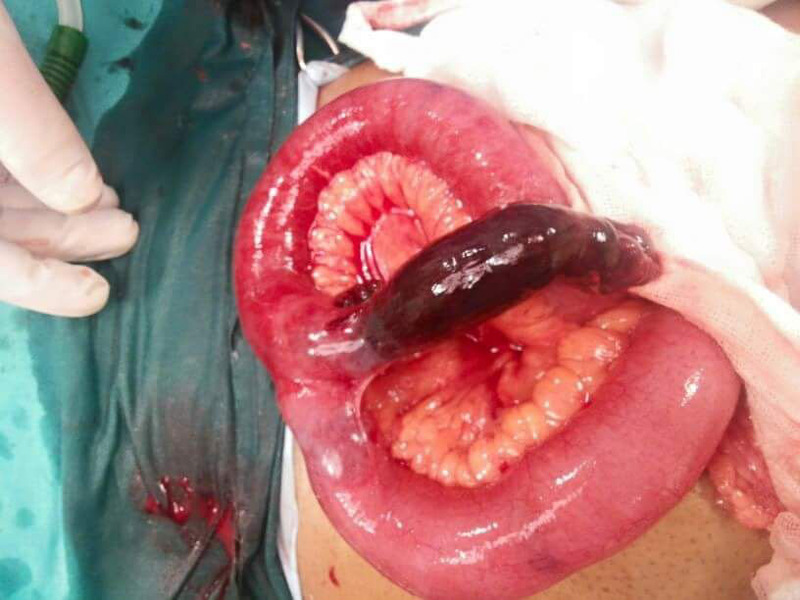 Elderly patient with acute abdomen due to perforated gangrenous appendix with caecal base with periappendicular and Psoas abscess . 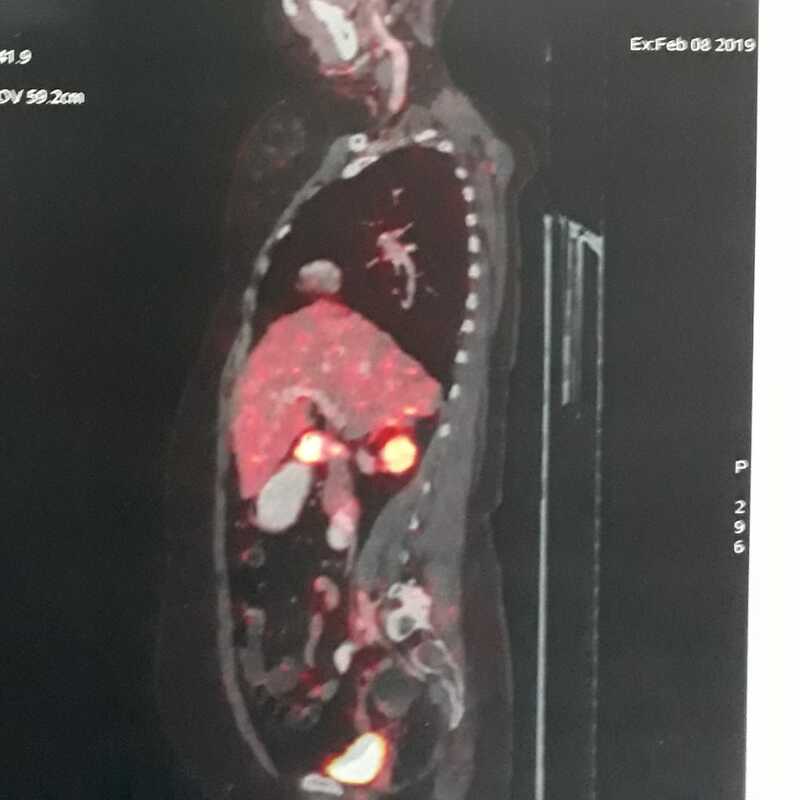 In a case of ? 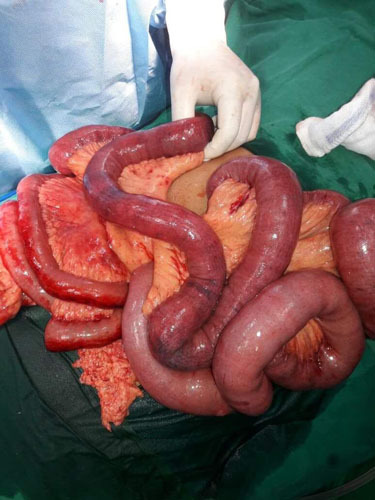 Crohns ( inflammatory bowel disease ) disease. 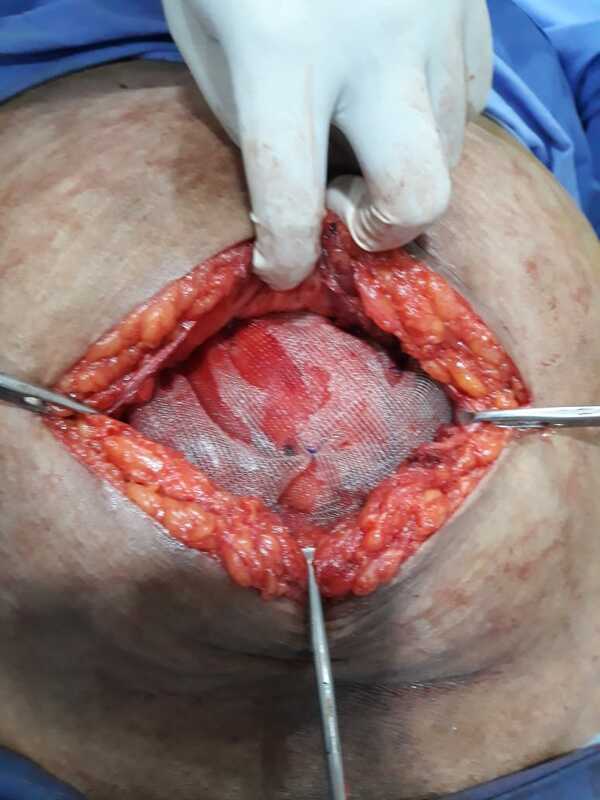 Look at typical fat wrapping . 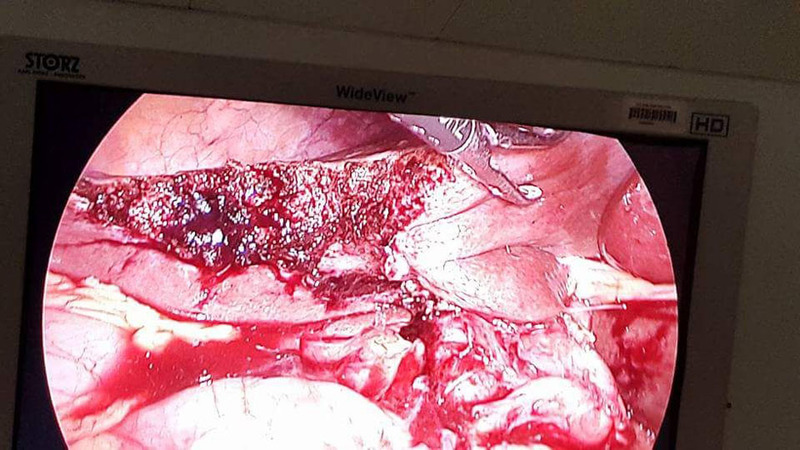 VIPoma, a very rare Neuroendocrine tumour of pancreas resected by wedge resection pancreas. 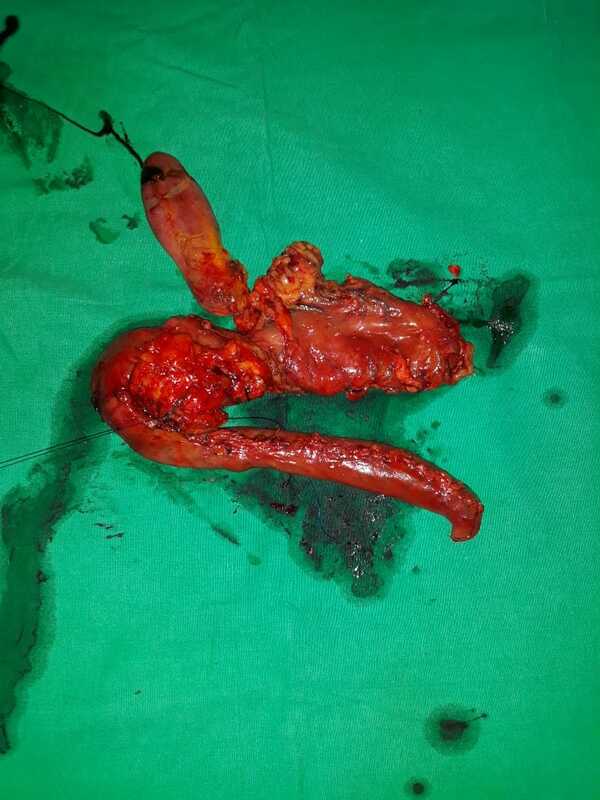 Stomach cancer specimen after major stomach removal. 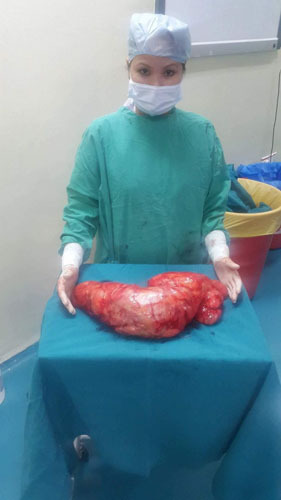 Major gastrectomy. 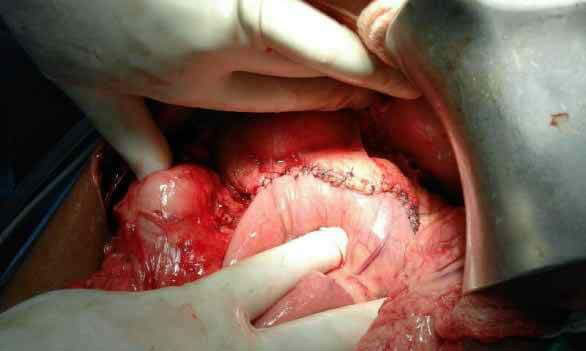 Stomal prolapse and stomal hetnia surgery. 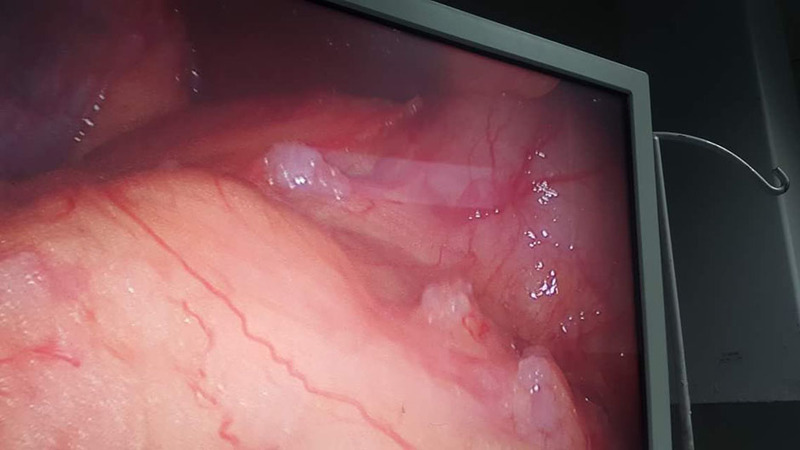 Laparoscopic appendectomyfor acute purulent appendicitis. 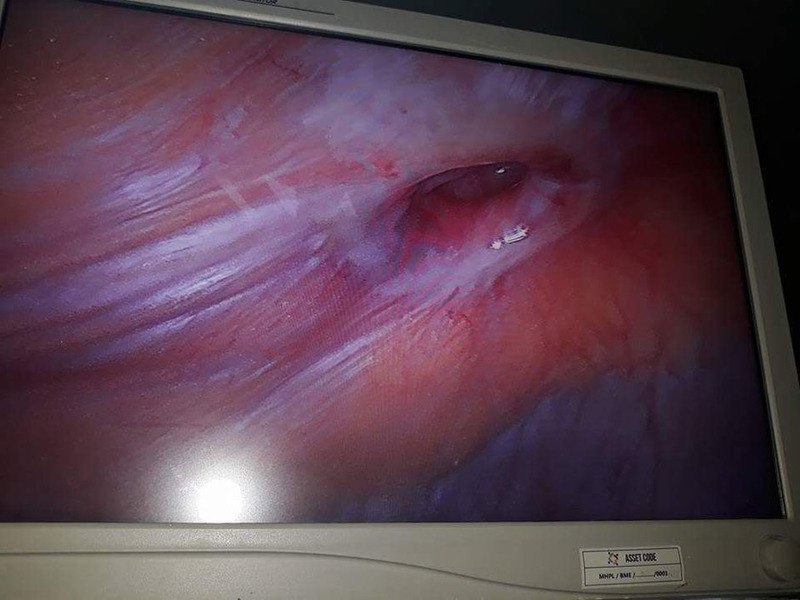 Bile leak bile peritonitis laparoscopic surgery. 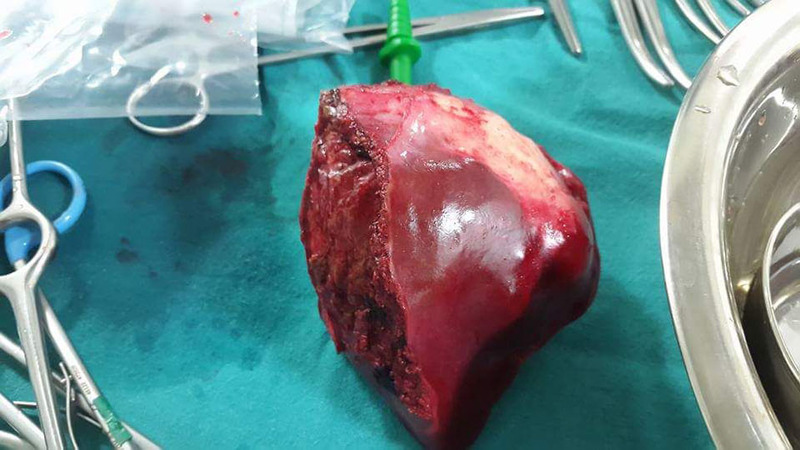 Pancreatic stone, chronic pancreatitis surgery. 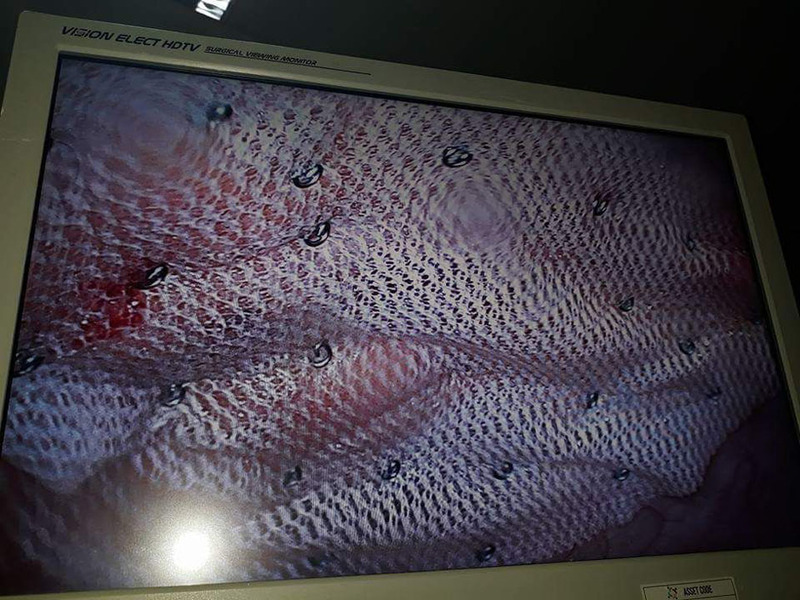 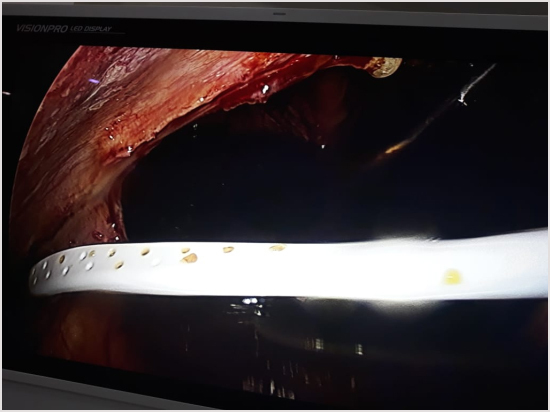 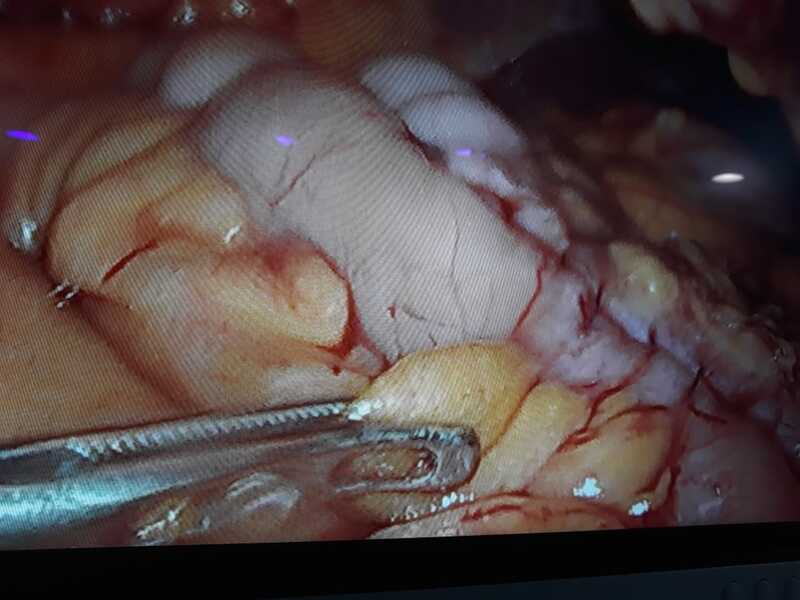 Laparoscopic ventral hernia mesh repair surgery. 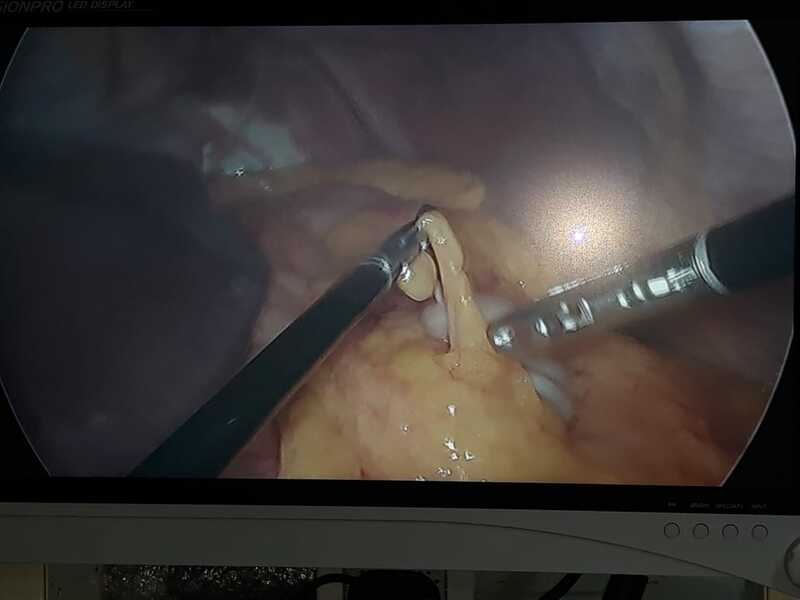 Difficult gallbladder with abscess with perforation surgery laparoscopic. 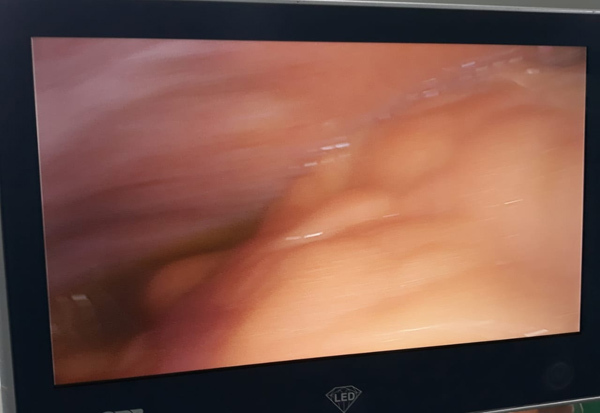 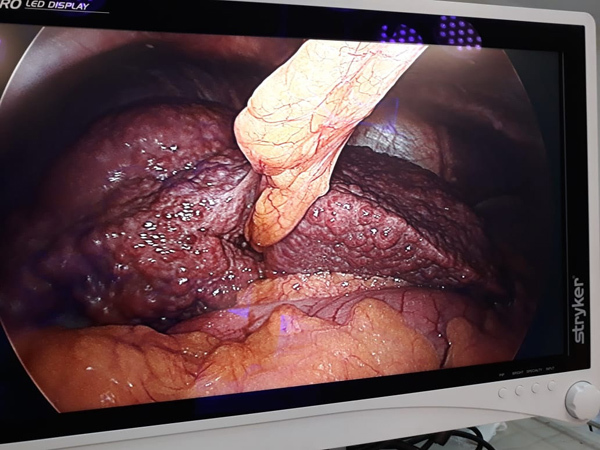 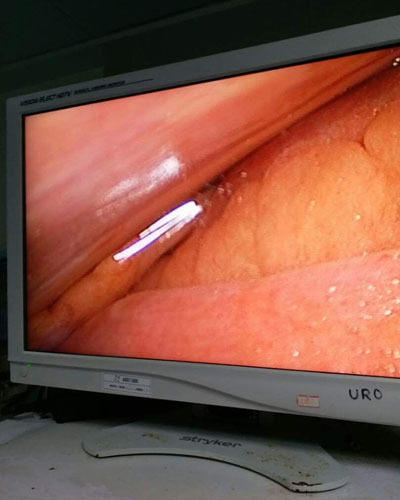 Endolaparoscopic bile duct stone surgery. 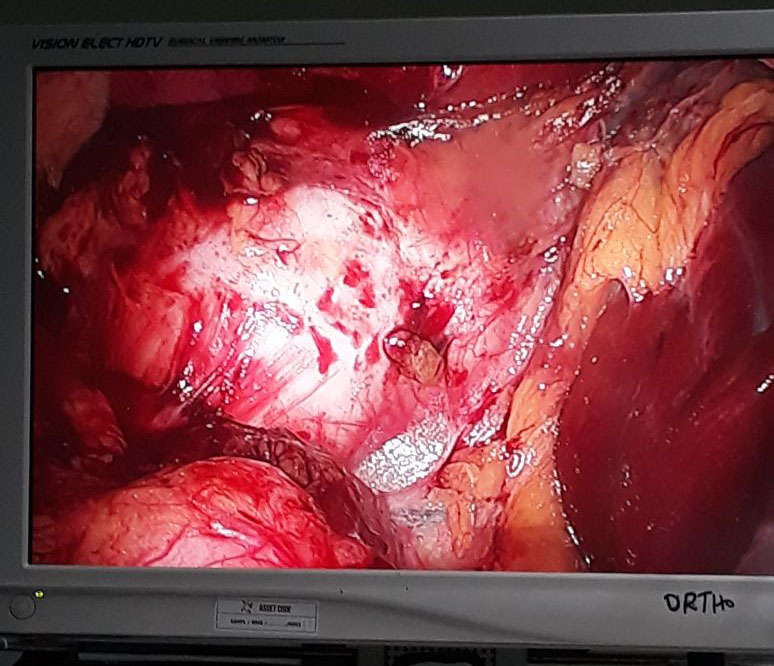 Laparoscopic appendectomy for gangrenous ruptured appendicitis.